Yesterday was an awesome day, Mike and I traveled up to Columbus, Ohio to attend Cartoon Crossroads Columbus (CXC) 2017. CXC has been around for three years, and for two of those three I lived in Rhode Island and wasn’t able to easily attend. Hearing nothing but great things about the show, it has been on my convention bucket-list since reviews started pouring in to me in 2015. I was not diappointed. For those who are not aware, CxC is a four day event heald in Columbus, Ohio on both the campus of (the) Ohio State Univeristy and at local attractions across the city. At first it sounds daunghting, travelig across the city to attend the different events, but it really isn’t. Thursday and Friday events are all located on OSU’s campus and the Billy Ireland Cartoon Library and Museum (someplace else I hope to travel to soon) and Hale Hall. The events on Thursday and Friday are mostly exhibits, professional presentations, and SOL-Con workshops. 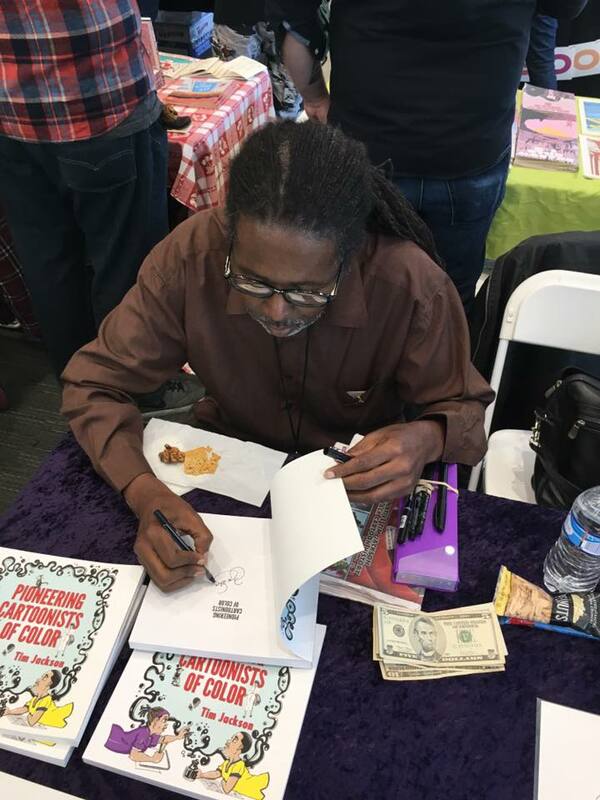 SOL-Con is a Brown and Black comics expo that run simuntaniously with CxC and celebrates the works of African American and Latino comic creators and writers. Saturday and Sunday sees what most people think of with an indie comics convention, a huge artist alley! The artist alley is located in the Columbus Metropolitian Library’s main branch building downtown, but there is also an art exhibit at the Columbus Museum of Art, and more exhibits at the Columbus College of Art and Design. Unfortunately our time was limited, so we were only able to attend the artist alley at the library. Mike and I spent three hours walking around the the tables and talking to local and visiting artists. Ran into a new favorite artist of mine, Natalie Andrewson, who I first met at the Rhode Island Independent Publishing Expo last year (that was a good expo as well, but it seems they didn’t hold it this year?) Anyway, I love Andrewson’s method of basically screenprinting her illustrations through layers of color, and have multiple illustratiosn of hers up in my studio. I also met a fantastic writer and illustrator duo, Ananya Vahal who writes Lung Girl and Carlos Perez of Prime Vice Studios. Vahal writes Lung Girl and runs the Sid Foundation, which is a non-profit that raises funds and awareness for lung transplant research. Lung Girl is a comic published by the Sid Foundation to help spread awareness of lung transplants in a exciting and new way. 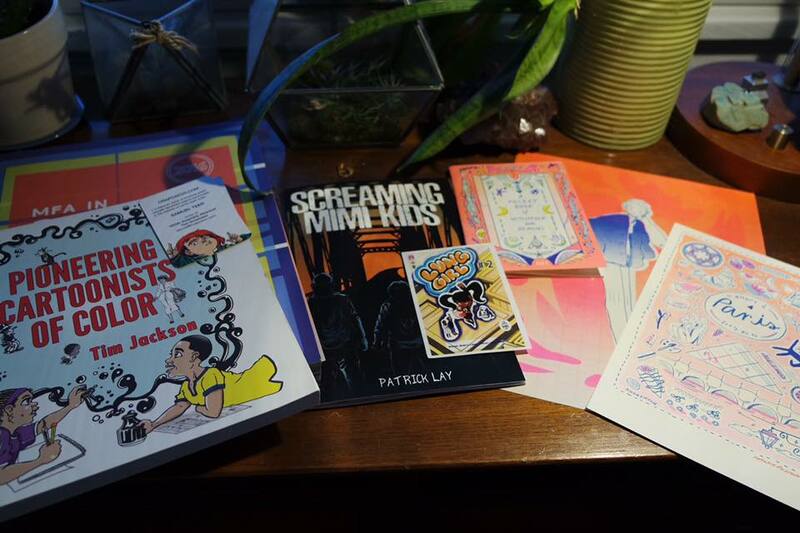 At the show I met illustrator Tim Jackson and his book Pionnering Cartoonists of Color which came out last year. It is a look on the works of African-Amerian cartoonists and comic creators from post Civil War until 1968, and has been a captivating read thus far. It had always bothered me that society had only paid attention to a certain portion of artists throughout history, Pioneering Cartoonists of Color really digs into the stories of those who were largely ignored, but still persisted to have their voices heard. This book comes highly recommended for everyone to read, and should be included as a part of art history programs and at local libraries across the country. And that was my day at CxC + SOL-Con 2017! Again, this is a wonderful indie and small press conference that people who are into comics should really attend. I’ve been to many small press expos (SPX, MICE, and SPACE) and find this to be just as large, but have that cozy feel as the others. Here you can enthusically talk at length with artists and share thoughts and ideas without the feeling of being pressured to move onto the next table quickly. Artists who were exhibiting mentioned that CxC has hands-down been one of the best expos they have ever attended, I’d agree with that statement.